How to Build A Website with SBI Site Build It! 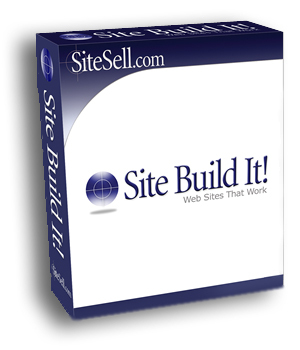 >>> Read more about What is Site Build It? Site Build It trains and teaches you the ways of internet marketing with it's easy-to-follow '10 Day' Action Guide. In short, C>T>P>M is providing pages of high-quality, keyword-focused content which has the necessary “hooks” to rank well at the search engines, so the site gets free, targeted traffic. This is then “PREsold” – a term cottoned by SBI Site Build It’s founder, Ken Evoy. Hard to pin-down exactly, PREselling is where you essentially warm the visitor up towards a product or service – without pushing for a sale (that would be “hard-selling”). The concept behind C>T>P>M is that by building up content, driving traffic and PREselling that traffic – so that converting those visitors is the easy part. This, SBI claims, is the opposite of what “99% of other small online businesses don’t do.” If you build a website, cash-register ready and just expect to make money you’re going about it the wrong way round. Building targeted traffic and then converting it is the sustainable path to successful online business. But of course, C>T>P>M isn’t the only way of doing business online – besides it being a very broad theory, some businesses – such as mid-sized online stores, or ‘About Us’ websites will perhaps build their business some other way - perhaps by buying traffic on Google Adwords is a more sustainable option. SBI Site Build It is NOT Get-Rich-Quick. It is a business building tool that takes vision, effort, persistence and a huge dollop of passion. SBI is missing a core ingredient to make it the most amazing tool online – a human being. That’s what fuels the content generation, and in turn drives C>T>P>M. Are you wondering if you could write for a website? Everyone knows something about something. Whether you have a passion or a hobby, a business or an experience you want to share with the web, SBI is the perfect match for you. They provide the tools, training, tips and techniques – you fuel it with human emotion, power and excitement.